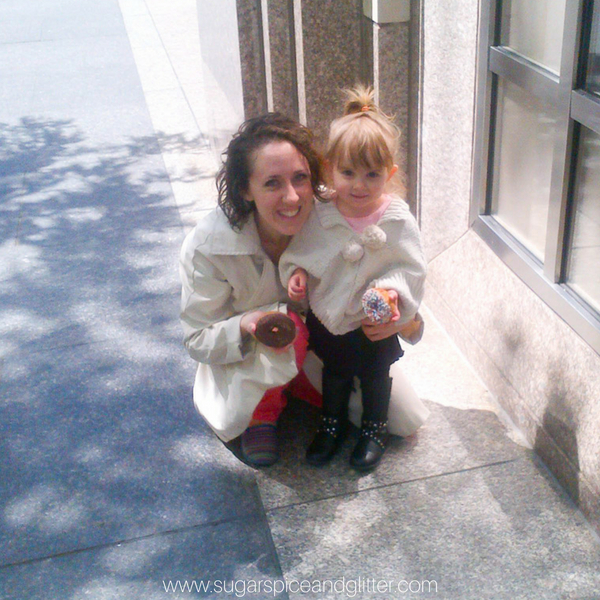 The first time I took Ella to Chicago, she was two and I was still finishing up my Master’s degree. 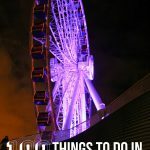 I had never been to Chicago (well, outside of the airport anyways) and we had a $1000 budget that I wanted to stretch for a week-long stay. 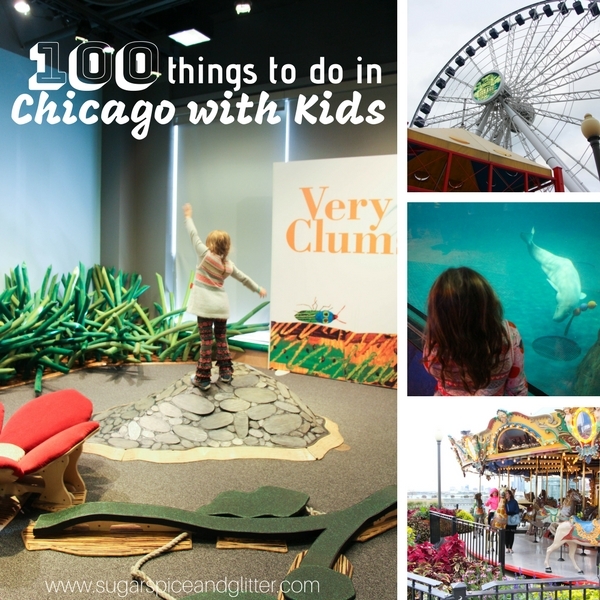 That had to cover getting to Chicago, our hotel stay, our food, transportation and activities. 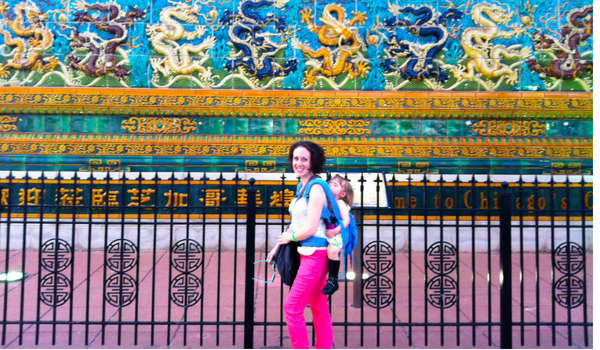 Air BnB wasn’t really a big thing back then, and to be honest, I wasn’t really comfortable doing that in a new city where I wouldn’t be sure of the safety of the location (especially not with a toddler). 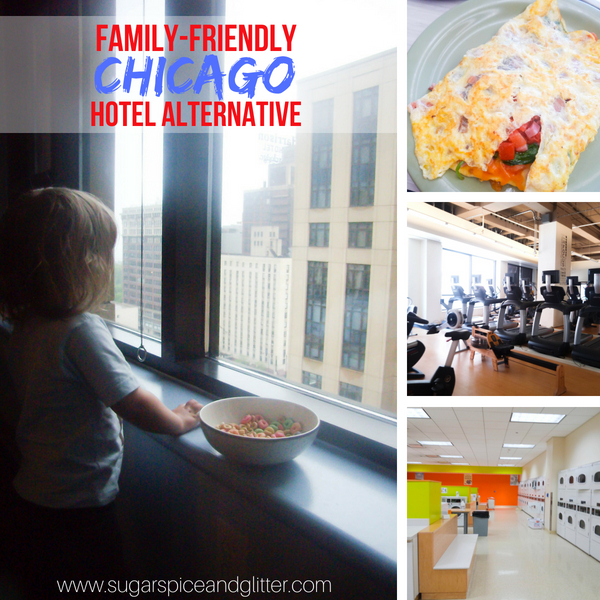 The price, security, and location was perfect for us – and it made a family vacation to Chicago safe and affordable for my family. 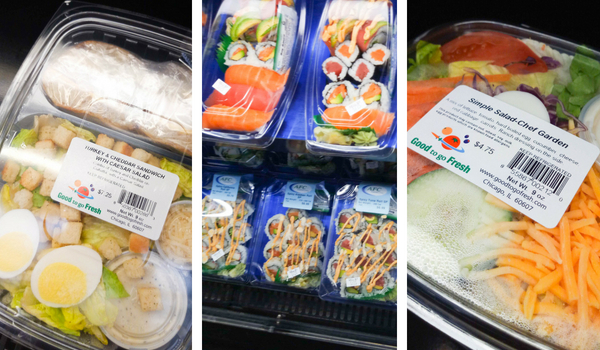 Recently, I returned to University Center to get some updated pictures since I didn’t really get many of it the first time we visited, and I also heard that they had renovated under new management. 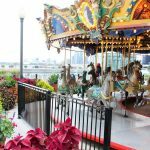 I was really pleased with our stay at University Center. The rooms are quite basic, just two single beds each, with desks, cabinets, locking closets, mini-fridges and the option to add a microwave. Rooms can have private bathrooms, or if you need 4 beds you can opt for a suite that has a bathroom adjoining two rooms. Some bathrooms have baths, others just have showers. While everything is clean and modern, it doesn’t have the decor of a hotel. That and the mattress quality is really the only differences I found, and the only “detractors” from staying here. But for just over $60/night, though, who’s going to complain that it lacks decor?! There are also short-term leases for their apartments available if you wanted to do a longer stint in Chicago. I was able to see these apartments and they were really nice and well-equipped. I’ve already mentioned the free WiFi and computer lab – but the University Center also had a 24/7 fitness area (including fitness classes you can join in on), games room (with Foosball and Ping Pong), music rooms (in case the kids need to stay sharp), and meeting spaces, if you need to mix some business into your trip. We also made use of the laundry room so that we could get away with packing only half a week’s worth of clothing. It is right around the corner from the Games Room and Computer Room, so it was easy to keep Ella happy and busy for the hour or so that it took. 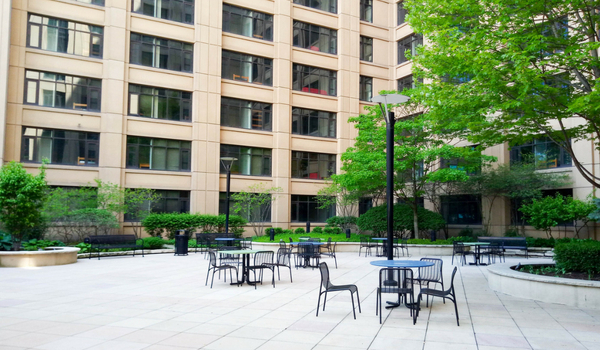 Conveniently located in Chicago’s South Loop, we were able to walk to several of Chicago’s attractions (like the Art Institute, Millennium Park, Museum Campus, Magnificent Mile, and several bucket list restaurants) and we were a short bus ride or Lyft from most other attractions. Okay – finally, the food. For the price, I was not expecting more than your basic continental breakfast, but this location is full of good surprises! 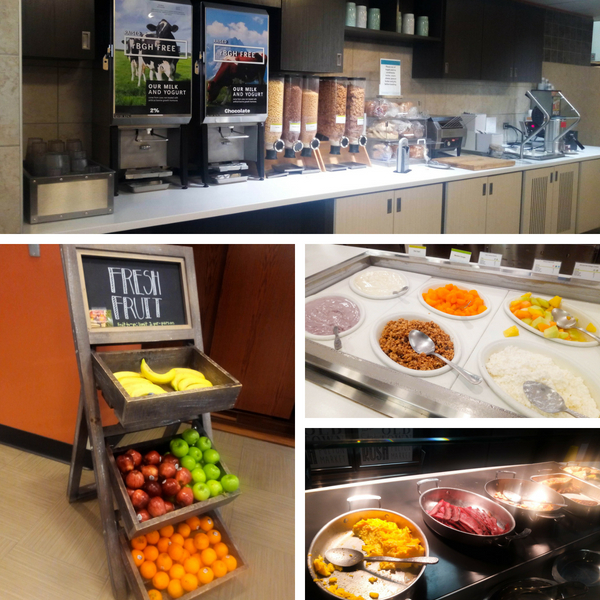 They had plenty of fresh fruit, yogurt, granola, toast, make-your-own waffles, donuts, breakfast sandwiches, juices, COFFEE and more – including several gluten-free options (including a dedicated gluten-free area with it’s own toaster). But the real rockstar was the made-to-order omelet bar. 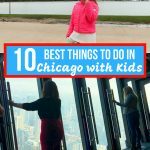 If you are looking for an awesome way to visit Chicago on a budget, I cannot recommend this location highly enough. 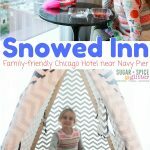 I know it may seem odd to stay at student residences during a family vacation, but I guarantee that if you give it a try, you’ll be searching out similar venues for nearly every other family vacation! 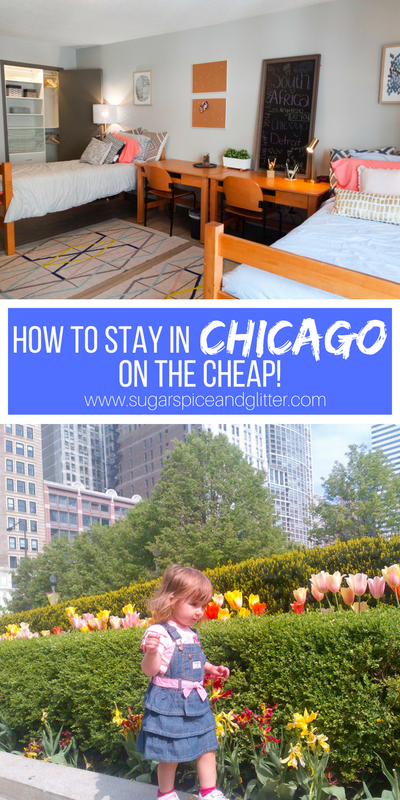 We were able to stay at University Center for a week for less than what it would cost to stay at most other Chicago hotels for a weekend, and really, the only compromise was that it wasn’t decorated like a hotel and didn’t have luxurious mattresses (they were still comfortable). It more than made up for that with the security, central location, in-room fridge and microwave (increasingly rare these days), and that free breakfast! 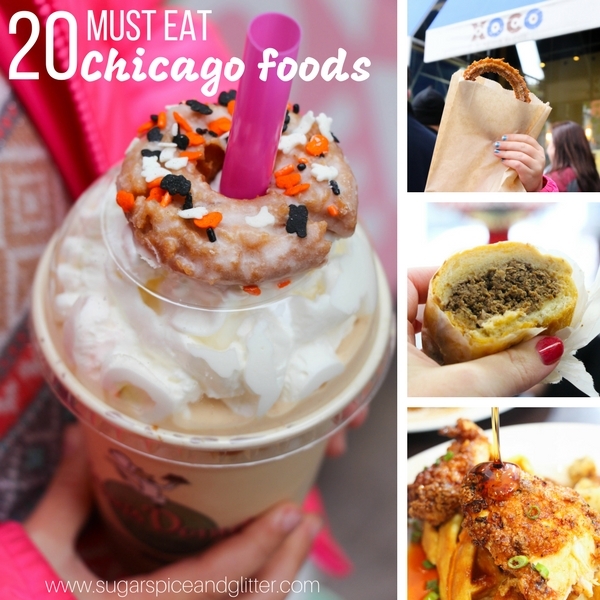 And be sure to check out some of our other Chicago family travel posts, including 100 Things to Do in Chicago with Kids or 20 Must-Eat Chicago Foods.